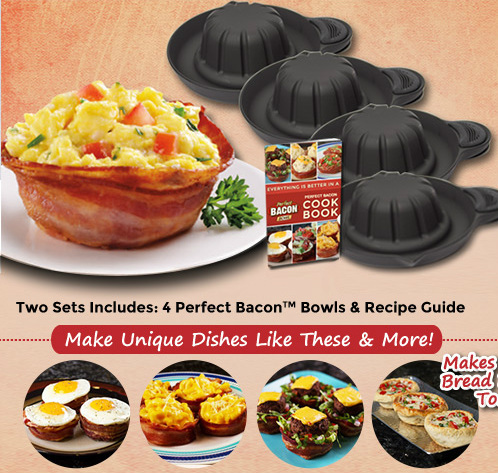 Not only have we invented a very specific device for making edible bowls out of bacon – but we have done so in a manner that encourages the purchase of four at a time. One bacon bowl alone WILL NOT DO. ‘Murica! Beat this, Japan. BECAUSE YOU CAN’T.